The Baja California land mass has two coastlines totalling some 3,000 kilometres and includes 65 islands with hundreds more in the Gulf making it an ideal cruising ground for luxury yachts. There are two ways to explore Baja and the Sea of Cortez; those with more days to spend may enjoy embarking from San Diego and cruising down the Pacific side with their first stop at the treeless San Benitos islands with their amazing bird colonies and inquisitive sea lions. Further south, San Ignacio Lagoon is famous for its grey whales. Magdalena Bay, with its rich seas attracting huge flocks of birds as well as numerous cetaceans, is the other recommended Pacific coast stop. The other option is to join your superyacht at the tip of Baja in Cabo San Lucas, a resort area with lush hotels and villas that cater to celebrities and CEOs. In complete contrast to the mostly uninhabited Pacific Coast, the resorts and marinas of ‘Cabo’ offer a good place to start winding down from city life with just enough upscale shopping, restaurants and clubs to satisfy those in party mode. 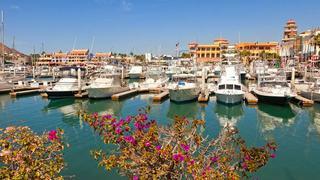 Cabo is renowned for sportfishing, surfing and scuba diving. You’ll want to try your hand at photographing El Arco de Cabo San Lucas, one of the world’s best known rock formations. This anchorage is the gateway to the underwater park of Cabo Pulmo the largest living coral reef on the western side of the continent for snorkelling or diving. Experienced divers can also find some fantastic deep dives such as the Gordo Banks, and the El Bajo Seamount is great for large pelagics. Road trip! Halfway between Cabo and La Paz is this famous inland artist’s colony with its own arts festival in late January and a film festival in March. This area is unusually green and was once a sugar cane centre; now it produces organic fruits and vegetables. Meaning ‘peace’ in Spanish, this is the biggest city in Baja Sur. Stroll the Malecón and shop for local crafts. Visit the main square and the 18th century cathedral or soak up some history at the Anthropology Museum. These stunning islands lie at the entrance to the Bahia de La Paz. Their dramatically eroded faces are in stark contrast to the clear gentle sea. Snorkel amongst the curious sea lions who will happily play with you and humble you with their effortless acrobatics. This is also a great spot to explore by kayak and enjoy a beach barbecue come sundown. This is a beautiful desert island with massive cacti over 12 metres tall. Keen birdwatchers can enjoy a hike on land and everyone will enjoy watching undersea life in the crystal clear waters—there are vast shoals of colourful fish, and blue whales are often found at the surface. 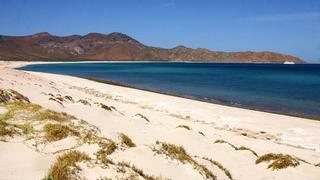 This island is within Bahia de Loreto National Park and the water and shores are pristine. Much of the Gulf of California is a UNESCO World Heritage Site. This large harbour has many relaxing anchorages. Tender ashore to hike or mountain bike in the rugged Sierra de la Giganta. This is the oldest permanent settlement in Baja and once its capital. Picturesque Misión San Francisco Javier de Viggé-Biaundó, built in 1758, is in the mountains, a one-hour drive away. 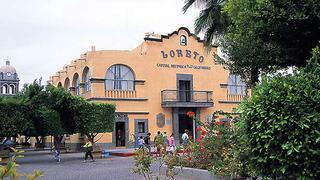 Loreto has an international airport with direct flights to Los Angeles.